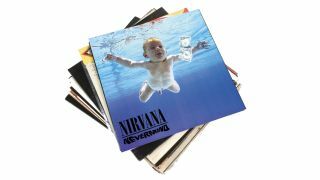 During 1991, the year before Nirvana's Nevermind topped the US charts on its way to selling over 10 million copies, the only rock acts to reach number one were Guns N' Roses, Skid Row, Metallica and Van Halen. In the two years that followed Nevermind, there were not only number one albums for Pearl Jam, Soundgarden, Stone Temple Pilots and Alice In Chains, but even Mudhoney, The Melvins, Tad and The Vaselines' Eugene Kelly were signed to major labels. Without Nevermind clearing the way, these bands and their punk overtones would never have been allowed anywhere near the mainstream. The hit-packed Nevermind may have been an unlikely trojan horse by which punk entered the nineties mainstream, but then again it was an album full of contradictions. As we'll see, Kurt Cobain was at best ambivalent about the album - or what it represented. It also caused some tensions in the band's relationship with their audience. Irrespective of how its principle author felt, Nevermind proved to have a seismic effect on nineties music. Recording their major label debut saw Nirvana entering the hitherto unimaginable world of mainstream rock stardom. The setting was Sound City studios in Van Nuys, California, in May-June 1991, its walls resplendent with platinum discs from bands like Cheap Trick and Fleetwood Mac, who had recorded Rumours there. Producer Butch Vig had been selected to man the desk, having established a rapport with the band after working on earlier recordings at his own Smart Studios over a year before in April 1990, for what was meant at the time to be the band's second album for Sub Pop, then tentatively titled Sheep. Nirvana's debut Bleach had managed to shift around 50,000 copies off the back of heavy touring; the building buzz around the band had attracted the attention of several major labels. Geffen won (Sonic Youth's presence on the label was a key factor) and the band hammered out a deal that eschewed a huge advance in favour of a higher royalty rate. Throughout the six - originally budgeted to be three - weeks of sessions, the band (now settled on the definitive line up of bassist Krist Novoselic and recent recruit Dave Grohl on drums) were lodged at a local apartment complex. Butch Vig recalls: "A couple of times I went to pick them up and they had definitely turned their place into a bachelor pad. There were cans of food lying open everywhere, clothes thrown all over the place and acoustic guitars lying around the room. I know they were getting a big kick out of staying there because the band Europe was staying next to them. "The guys in Europe would all go sit out with their girlfriends by the pool everyday. And I remember Krist and Dave and Kurt making fun of them. They were not big Europe fans." On the whole, sessions progressed smoothly, though Vig did have to coerce Cobain into double tracking and overdubbing some guitar and vocal parts - sometimes by rolling tape during his warm-ups. "In rehearsals when they started playing it their guitar and bass rigs were so loud, so unbelievably loud - and Dave didn't have any mics on him or anything, and the drums were equally as loud in the room! I remember literally standing up and starting to sweat and pacing around the room because the song was so powerful and so amazing and so hooky… I didn't even know what Kurt was singing at that point." What was Kurt singing about? Characteristically enigmatic, he told the NME in 1991: "It's about, hey brother, especially sister, throw away the fruit and eat all the rind." For millions of teenagers, it would be the sound of a musical revolution. Butch Vig had originally been assigned the job of producing and mixing the album, but with the sessions going way beyond their original schedule, Nirvana's label and management suggested that a fresh pair of ears was brought in for the mixing process. Andy Wallace has since mixed a succession of highly acclaimed rock records including Jeff Buckley's Grace and At The Drive-In's Relationship Of Command, but at the time he was near the bottom of a list that included REM collaborator Scott Litt, who would later be called in to remix the singles on In Utero and produce Nirvana's MTV Unplugged show. Cobain favoured Wallace for his work on Slayer's 1990 album Seasons In The Abyss. Both Vig and the band were present during a mixing process that saw Wallace expend much of his energy doctoring a drum sound that, despite Grohl's hammer-blows, band and producer felt to be lacking. Wallace used digital reverb and equalisation to improve the sound from the room mics, and blended samples behind the snare and kick drum sounds to beef them up. Vig's original 'Devonshire' mixes on the Super Deluxe edition of the Nevermind reissue reveal that while Wallace's work on some tracks was fairly subtle, others benefited from a major overhaul. Although he was happy enough with the mixes at the time, Cobain later told biographer Michael Azerrad: "I never listen to Nevermind. I haven't listened to it since we put it out. I can't stand that kind of production, and I don't listen to bands that do have that kind of production, no matter how good their songs are. It just bothers me." Butch Vig has another theory: "I think part of that was Kurt's reaction to having Nevermind be so successful. If it had only sold 50,000 copies, he probably wouldn't have had any comments on whether it was too slick, or not slick enough." Ultimately, regardless of production, the enduring appeal of Nevermind can be reconciled to killer hooks, infectious melodies and explosive dynamics. The heads-down thrash of Territorial Pissings - its intro vocal recorded by Novoselic singing through Cobain's guitar pickup and Cobain's lead vocal done in one take, audibly blowing his voice out at the end of the song - juxtaposed with the startling intimacy of the naked acoustic performance of Polly, or the chilling whispered verses of Something In The Way; Nevermind's musical vocabulary was thoroughly removed from the gloss and posturing of mainstream hard rock, with a passion and intensity that couldn't be manufactured. Following the spectacular commercial success of the album, Nirvana were assigned many labels, including Grunge, Alternative Rock and Punk Rock: some corners of the media hailed Cobain as the heir to the 'spokesperson of a generation' title that had been pinned on the likes of Bob Dylan and John Lennon over the years. Nirvana found themselves outselling Guns N' Roses' Use Your Illusion albums and suddenly confronted with an audience that began to contain factions that represented everything they hated in early nineties American values - high-school jocks and moustachioed rednecks punching the air to the hits, but not buying into the band's ideology. This had even been pre-empted by In Bloom's chorus refrain of: "He's the one who likes all our pretty songs / and he likes to sing along and he likes to shoot his gun / but he knows not what it means." Cobain explained: "I don't like rednecks, I don't like macho men. I don't like abusive people, and I guess that's what that song is about, it's an attack on them." Cobain's 'anti-macho' mindset would inform his instinctive approach to the guitar: he was a player with an exceptional ear for both emotive melody, and for riffs that set moshpits alight. For Kurt, the instrument wasn't a phallic totem of notes-per-second prowess. Instead, he regarded his own ability with self-deprecating humility, telling Fender's Frontline magazine in 1994: "The battle is the pleasure. I'm the first to admit that I'm no virtuoso. I can't play like Segovia. The flip side of that is that Segovia could probably never have played like me." At times displaying a mixture of childlike naivety and fascination with sheer joy of noise in his approach to the instrument, Cobain's statement that "less than you could possibly imagine" went through his mind when it came to 'cutting loose' onstage was in direct opposition to most of the late-eighties musical mainstream, and even to those groups considered to be Nirvana's peers such as Pearl Jam, whose guitarists undoubtedly display a more conventional rock approach. Indeed, Kurt's schooling in the art of all things guitar was rudimentary at best: "I took lessons for a week, I learned how to play Back In Black by AC/DC, and it's pretty much the Louie Louie chords, so that's all I needed to know. I just started writing songs on my own. Once you know the power chord, you don't need to know anything else." However, there was much more to Cobain's playing than that. The fall from grace of the guitar solo in the nineties has often been lazily attributed to Nirvana, yet Nevermind's first four songs all have guitar solos, ranging in composition from Sonic Youth-style string mangling (as heard in Breed), to melodic lines that echo the vocal melody with George Harrison-like restraint. Cobain's guitar playing was innately populist: aspiring guitarists alienated by the precision required to play along to their favourite Metallica or Guns N' Roses song could learn a Nirvana song and jam it out in a garage with their friends with comparative ease. It's easy to see why guitarists of a certain mindset still resent Cobain's impact on guitar culture. While Dave Grohl and Krist Novoselic's command of their respective instruments is beyond question, Cobain is still a hugely contentious figure who polarises opinion on online forums across the breadth of the web. Cobain's utilitarian, white-knuckle approach to playing the guitar must still incense the diligent students who spend so many hours developing their legato technique and pursuing an in-depth knowledge of modes. A key element of Cobain's central allure is in the way he was a mess of contradictions, in love with pop music, seeing punk rock as freedom, but battling the restraints imposed by punk dogma. A quarter of a century on, and sandwiched between the swampy riffs of Bleach and the primal scream of In Utero, Nevermind remains the band's bold pop statement, the record that dragged 'alternative' rock out of the indie ghetto, and perhaps most importantly, the record that continues to motivate so many kids across the globe to pick up guitars and step on distortion pedals. Listen to Nevermind today and it sounds every bit as majestic as it did the first time around. Sonic Youth's Thurston Moore: "It was what people were waiting for - the best of metal meets the best of REM. It had been building up through the years, from REM to Hüsker Dü to Black Flag. Nirvana came along and delivered the goods. They made the Cars album, the Knack album, for punk rock." "Though an attitude is one thing, music is much more important. A good song is the most important thing, it's the only way to really touch someone."